Note: installing beta build(s) will overwrite the one from AppStore. Opps… I didn’t read ALL the little wordy things… I don’t need stickers, whatever that refers to OK, back to testing. 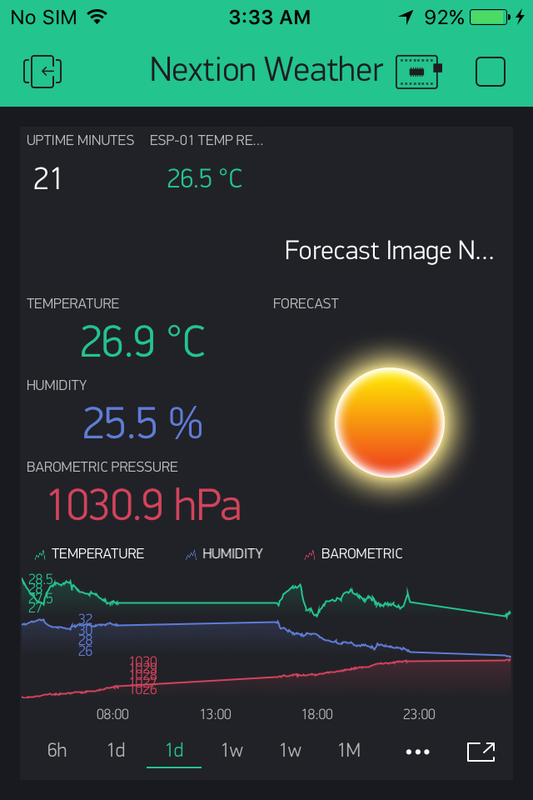 I also ran into one of my projects, that while it will respond to the device commands (blinking LED), and show any changes I make to widgets from other phones (Androids), it will NOT allow any control of the device (slider, buttons), nor will any widget manipulation register on other phones . Strangely, I can only see this issue on this one project?? I sent a log file from that project page. 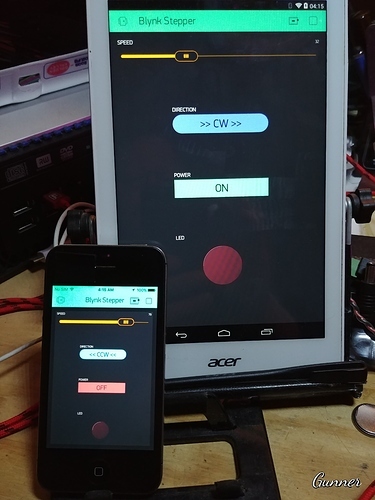 In this image I tried speeding up the slider and turning off the stepper motion from the iPhone… nada response from the device or the Android… but the LED still flashes away on both. I hadn’t really followed the Android image widget thread in too much detail, as I don’t have any Android devices. I’m running the iOS beta version and was a little surprised/disappointed at the way the image widget has been implemented. 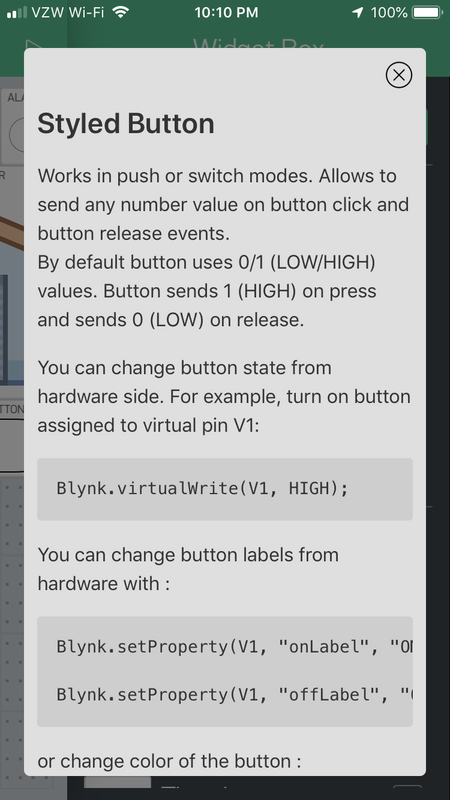 It’s great at doing what it says it does, but if press/release events of the widget were sent as BLYNK_WRITE events then it would be a much more powerful tool. It could be used as a switch widget, which could be made to behave differently on short and long presses (via code of course) and even disabled/greyed-out by having a grey version of the image and corresponding code to not respond to press events. Ability to disable and re-enable control widgets (buttons, sliders etc.) via code. In the future, are there plans to add the image functionality to existing switch types (On url, Off url - as well as existing On/Off colour and text)? One minor issue that I did find with the webPage button. Sure, this is just first version. 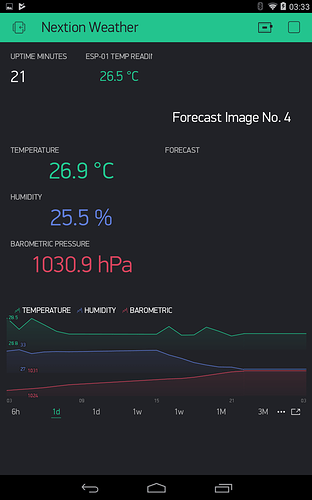 Button image is planned too. If you don’t supply a fully qualified url then the app crashes when the button is pressed. Sounds like you may have modified the project (like assigning pins, etc) on Android while iPhone was already opened and running? Try to stop/run project from iOS, or go to About -> Reload Account or just relaunch the iOS app. Nope… just started from the left and worked my way to the right, through all my running projects to test them with the beta iOS app… found this one that acted strange. Try to stop/run project from iOS, or go to About -> Reload Account or just relaunch the iOS app. Ok, then… But yeah, very strange. 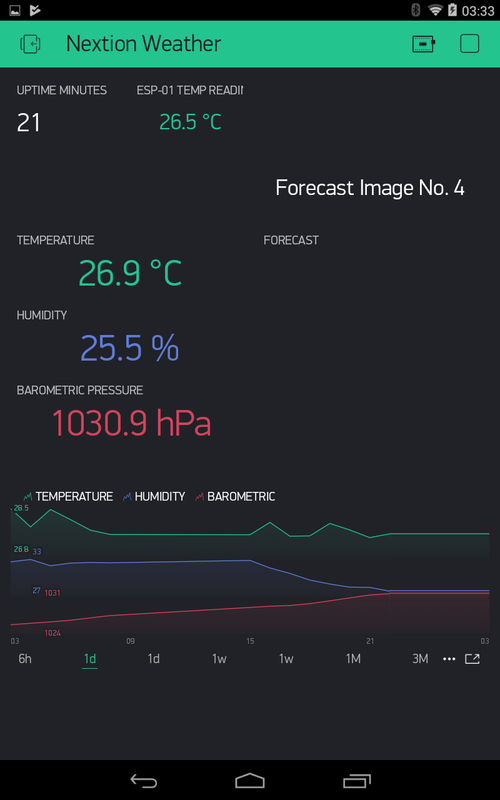 I saw your logs, but couldn’t make much of analysis since you’re on local server and I couldn’t check what widgets/configurations didn’t respond. The App sees, but is unable to connect to Light Blue Bean, a BLE device. I’m not sure whether it should. Does the very same setup work ok if Android phone is used instead? 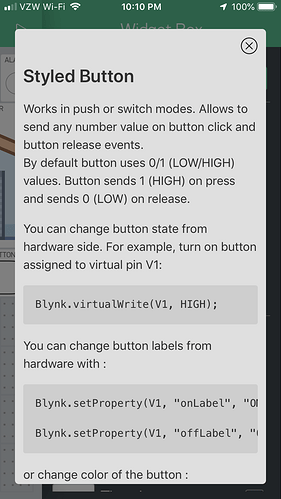 Well, currently the Android Beta WILL at least connect, but I only get limited functionality from the App/device link… some BLYNK_WRITE() functions work, albeit laggy, but no Blynk.virtualWrite() do. Was told that might be fixed in next release. @Eugene, just an FYI. When pressing the [i] button to get more information of how the WebPage Button works, it brings up the info for Styled Button, which is incorrect.